They came out DELICIOUS! 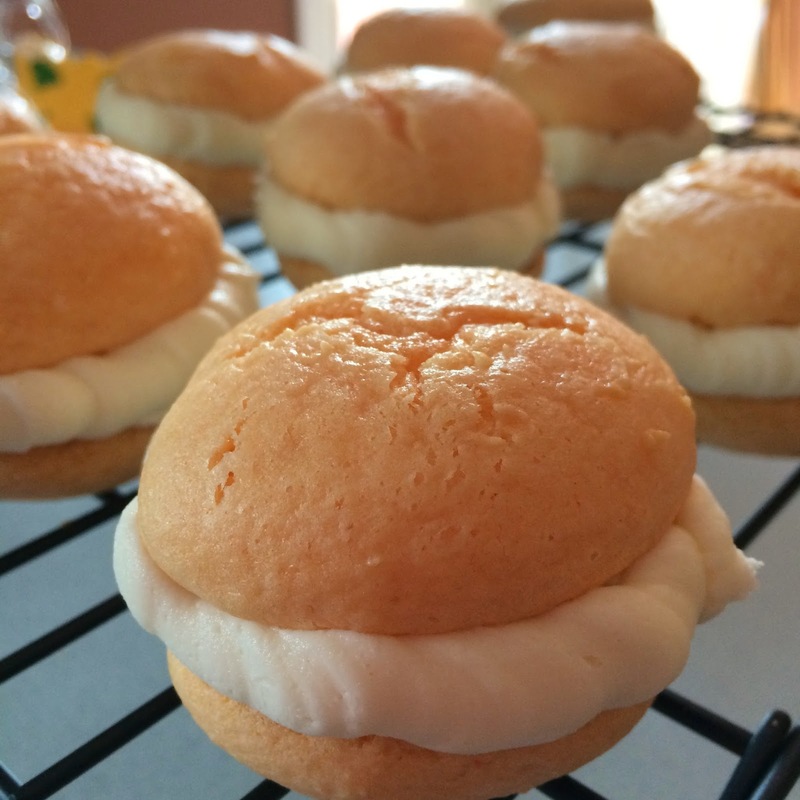 And they honestly taste just like a creamsicle! 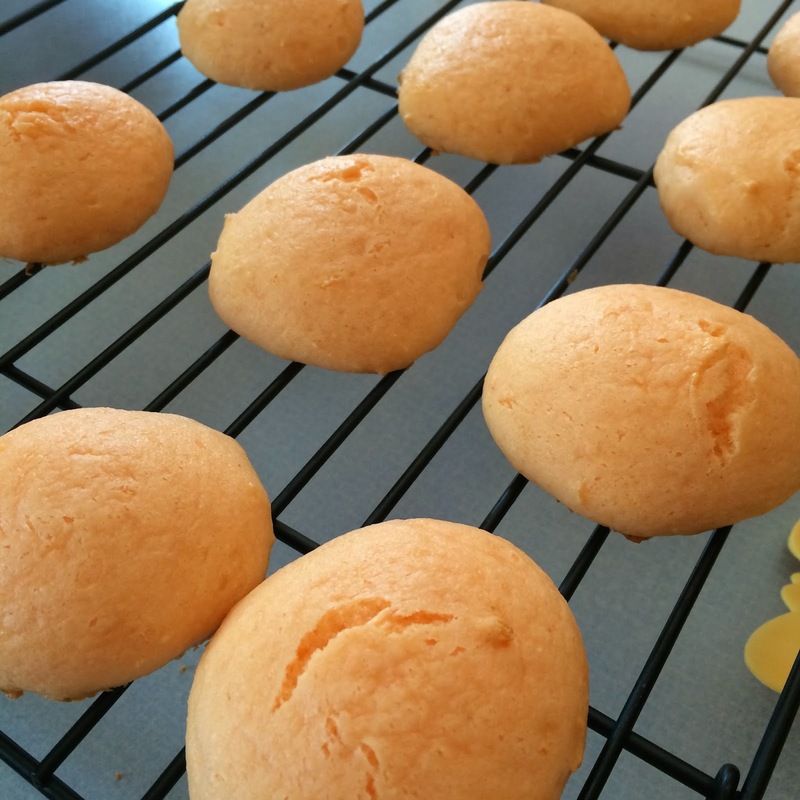 Plus, they couldn't be easier to make...especially since they are CAKE MIX RECIPE #39!!!!! 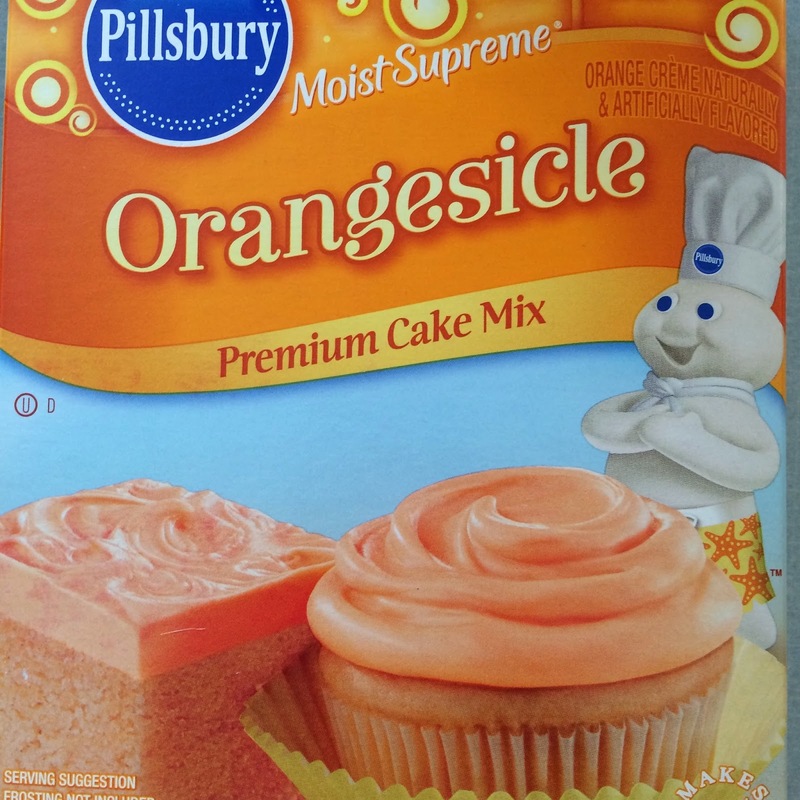 This cake mix is perfect for this recipe! Preheat your oven to 350 degrees and line your baking sheets with parchment paper. In the bowl of a stand mixer, fitted with the whisk attachment, combine the cake mix, veggie oil, water, and eggs. Beat on low speed 30 seconds and scrape down the sides. Beat on medium speed for 2 minutes. 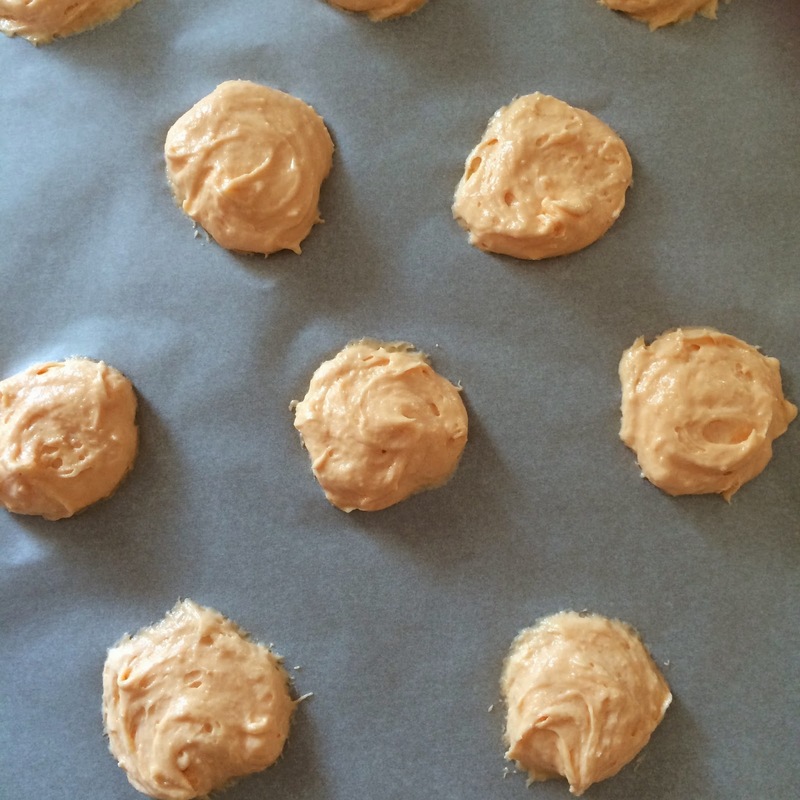 Drop batter by tablespoon or cookie scoop onto prepared baking sheet, leaving room for the cookies to spread. Take the back of a spoon or a knife to spread batter into flat circles. Bake in preheated oven for 8-10 minutes (cookies should be soft but cooked through and just starting to get color on the bottom). Once cookies are completely cool, turn half of the pies upside down and frost the bottom. For this I used my homemade buttercream icing but if you are short on time you could just use store bought icing to make it easier. Place the other half of the pies right side up on top of the frosting. If desired, use a piping bag to pipe extra icing around the center edge. 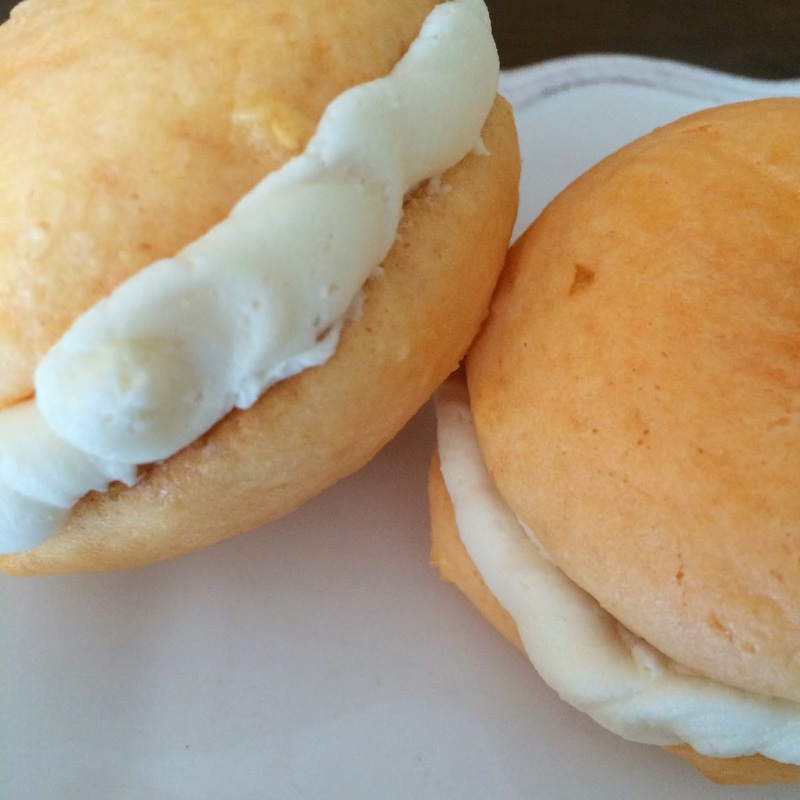 Store at room temperature for up to 24 hours, after that wrap each whoopie pie individually with saran wrap and store in the fridge. 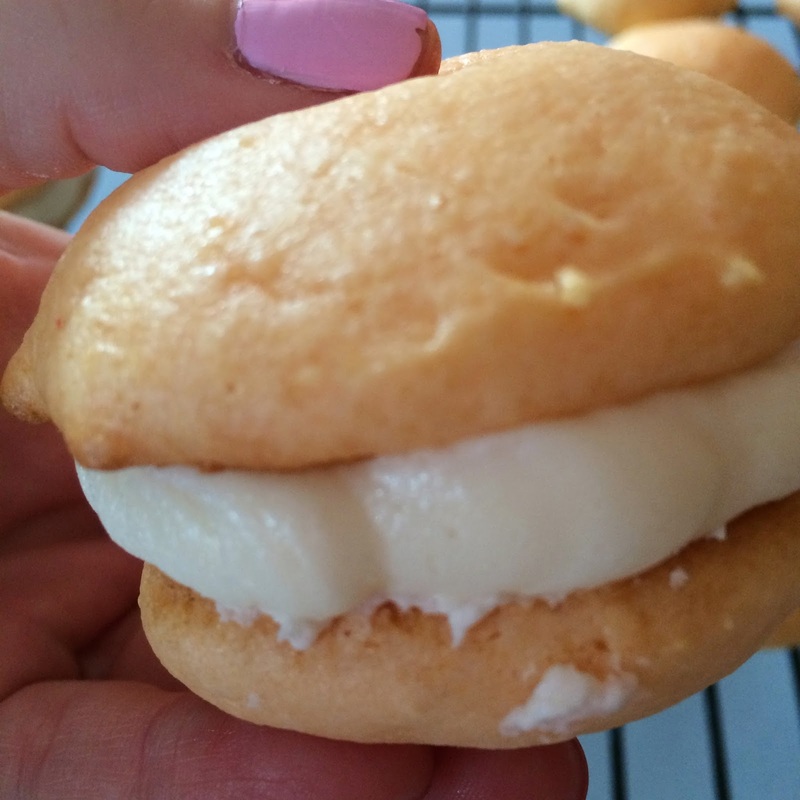 I found a new love in these little whoopie pies, and I will definitely be mixing up the flavor combos to make a few other cake mix whoopie pies in the near future!